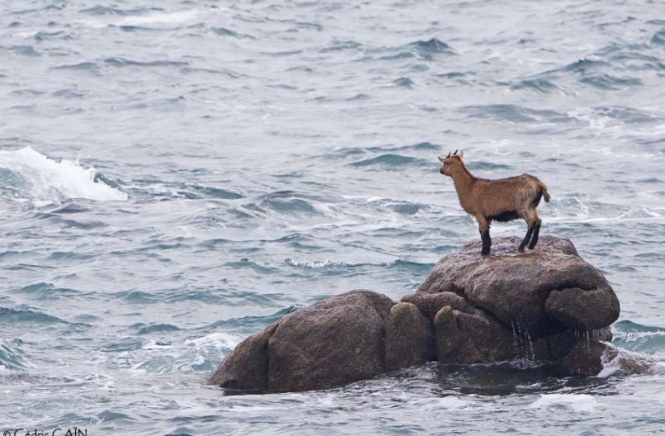 The goat became stuck on a rock as the tide rose on December 24, and was spotted by an amateur photographer who immediately called the local mayor’s office. They alerted the goat’s owner, who called for help. Surrounded by rising waves, the animal would have been unlikely to survive without the intervention of emergency services. After the coastguard ship arrived, it deployed a smaller dinghy, and a diver then jumped into the water to help guide the goat to safety. It was led to a safe bank, where its owner was finally able to collect it.